Message development, social media strategies, and speaker/media training for individuals and groups, so you don't get caught unprepared, speechless or without a message. I'm Washington, DC-based communications consultant Denise Graveline. Want to pick my brain or get a sense of how I work? Do it here. Saturday, April 18: At the DC Science Writers Association professional development day, I'll join a panel with speakers from US News & World Report and the Washington Post to discuss social media tools for reporters and communicators. Watch the DCSWA web page for updates. Tuesday, April 28: I'm joining a panel to speak on how to engage bloggers in Washington, DC, for the National Capital Chapter of PRSA. Stand by for details on the PRSA-NCC website. Thursday, April 30: I'll facilitate another in the Communicating Science series of workshops sponsored by the American Association for the Advancement of Science and the National Science Foundation, this time at Oregon State University in Corvallis, Ore. Registration details are here. Tuesday, May 5: I'm keynoting the annual meeting of the Construction Writers Association in Alexandria, Va., talking about social media and how it can help communicators as well as journalists. Monday, May 11: Look for me in New York City, where the Science Writers in New York have asked me to speak on social media as a branding tool. 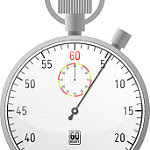 Tell it better: What if you only have six seconds for that story? Sign up for My Email Newsletter"
Click on the cover to buy my new ebook! Copyright 2017 by Denise Graveline. All rights reserved; reprints encouraged with permission. Powered by Blogger.